On August 4th, AVALON Hollywood presents “DAMAGED”, a trance-focused night featuring sets from Jordan Suckley and Sam Jones. The special occasion follows Jordan Suckley’s extensive “Damaged Radio” hoping to captivate the radio series’ sound. The acclaimed UK DJ is well-known around the DJ circuit, commonly supporting acts such as Armin Van Buuren, Tiesto, and more. Fellow trance producer Sam Jones joins Jordan as his transformative trance sets have earned him appraisal from successful acts such as Ferry Corsten and Aly & Fila. 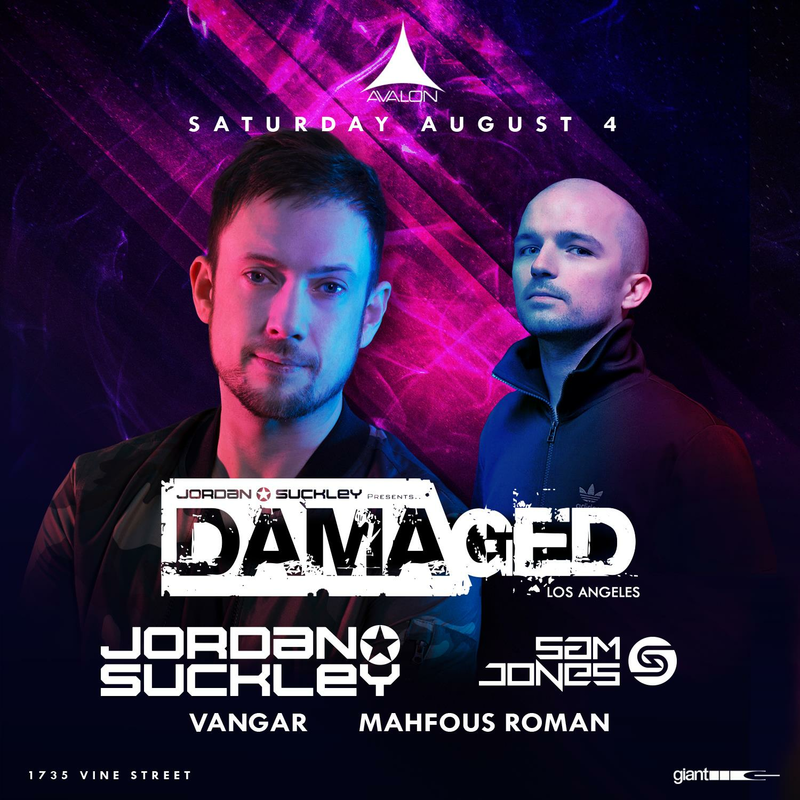 With Jordan Suckley and Sam Jones having collaborated a considerable amount on singles such as “Pursuit” and their remix of “Hijacker”, the artists are sure to deliver one legendary set on the AVALON mainstage. “DAMAGED” presents a new direction for AVALON as the historic venue is a source for the latest in the contemporary electronic music scene.